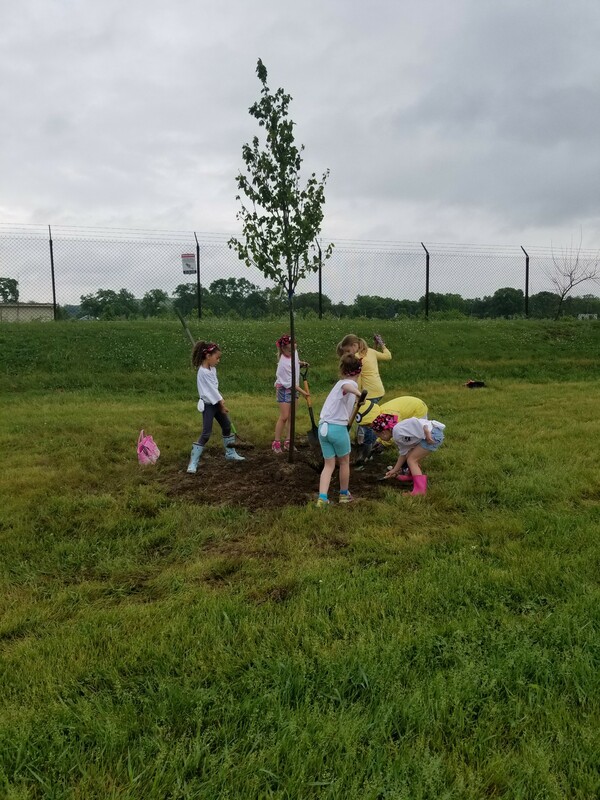 Thanks to a $900 Montgomery County Keep Montgomery County Beautiful grant, seven new Red Sunset Maple trees were planted at Harmon Field during the May 19 Community Pride Day. 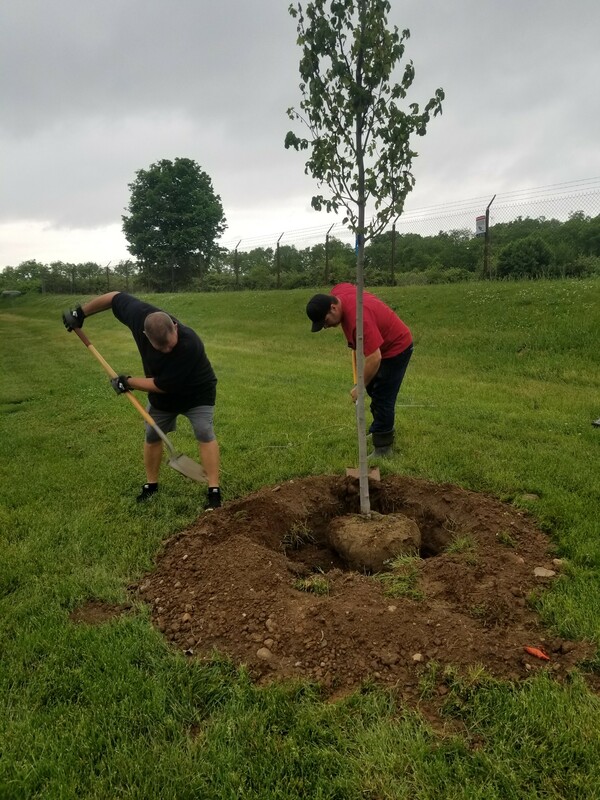 The trees, which were planted near two baseball and softball diamonds, will provide shade for anyone visiting the park or watching ball games. “As both the parks and recreation director, and also as a coach and parent of a baseball player, I know these trees will be appreciated by hundreds of people each year,” said Christian Mattingly. “We are grateful for the county’s willingness to provide these resources to our community,” he said. Mattingly also said he appreciated the volunteers, including several Girl Scout members, who came to the park during the rain on Community Pride Day to help plant the trees.